Beau Coup began in the early 1980's when Tommy Amato was recording Demo's at Agency Recording Studio upstairs of The Cleveland Agora with drummer, Eric Singer (Black Sabbath) and Mike McGuill guitars. One Monday night evening when Jonah Koslen and the Heroes were playing at a "Monday Night Out" at the Cleveland Agora, Tommy Amato and Henry LoConti, Jr. who would become Beau Coup's 1st manager along with Joey Millitello came downstairs and fetched his friend keyboardist and song writer Dennis Lewin of Jonah Koslen and the Heroes and asked him if he would come upstairs and listen to what they were doing. Dennis obliged and offered to write songs for the group. Tommy's brother Frank also became interested in the recording project and he soon joined the band along with bass player William March. Dennis wrote a batch of songs at this point, including Still In My Heart and the haunting Somewhere Out in the Night. While in Cleveland, Julian Lennon actually stopped by with some musician friends one evening while Beau Coup was recording Somewhere Out in the Night and liked what he heard. With help from Henry LoConti, Sr. and the "Agora Record Label", Beau Coup put together an EP of 5 songs and released Still In My Heart as the first single. Thanks to 98.5 WGCL with General Manager Kim Colebrook and Program Directors, Bob Travis and Tom Jefferies, Still In My Heart became a top 10 record on the station and CBS, Scotti Brothers Records became interested in the band. Ironically, the band did not have a name at this point and they called themselves Pop Opera which everyone in the band hated. The band was named Beau Coup 5 minutes before they appeared on the Cleveland television program Local Spotlight hosted by WGCL's Dancin' Danny Wright, by a Clevelander named Eddie Marshall, who had his own local Comedy TV show on Cablevision. 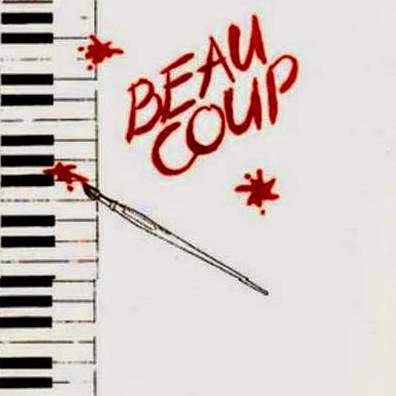 No one complained when Danny Wright announced the bands name and the name Beau Coup was coined. Eventually WMMS took great interest in Beau Coup with Program Director John Gorman's help. At this point, Cleveland manager Carl Maduri and his son became Beau Coup's managers and the band was signed to Rock and Roll Records a division of CBS Scotti Brothers Records. Other names on that label were Survivor and Weird Al Yankovic, with much turmoil with CBS Scotti Brothers Records, the album, which was ready to be released never was. Beau Coup ended their management agreement with the Maduri's after many problems. Next came a deal with Avion Record's owned by the late Joe Simone and managed by Bob Skaff and Ron Iofanaro. The band worked with engineer Kirk Yano. Again things did not work out and record promoter Michael Mannochio became Beau Coup's manager and struck a deal with Amherst-A&M Records. The Beau Coup Born and Raised on Rock and Roll album, CD, and cassette were finally released on the Amherst label and Beau Coup began to gain much international acclaim. - BEAU COUP is a renowned Cleveland Hard Rock outfit. The roots of the band lay in the early eighties when a trio comprising vocalist Tommy Amato, guitarist Mike McGuill and drummer Eric Mensinger would jam at the Agency Recording Studio upstairs of The Cleveland Agora venue. When JONAH KOSLEN & THE HEROES played the same locale one night, keyboard player Dennis Lewin was invited to hear the demos from the budding new band unit by manager Henry LoConti, Jr. Lewin expressed his interest and before long the band unit had been built up with the addition of Tommy's brother Frank along with bass player William March. Billed as POP OPERA at this juncture assembled an EP of five songs and released 'Still In My Heart' as the first single. The first release was a strictly limited edition affair, with only 1000 copies pressed and is thus much sought after by collectors. With local radio station 98.5 WGCL giving the band exposure, Scotti Brothers Records became interested. 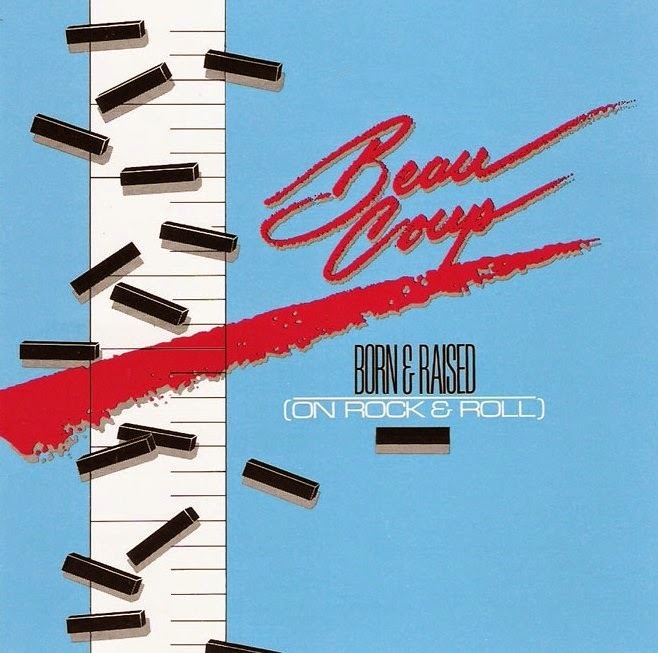 However, determined to ditch the POP OPERA tag, the band was stamped as BEAU COUP just minutes before they appeared on the Cleveland television program 'Local Spotlight' hosted by WGCL's Dancin' Danny Wright. Unfortunately, despite having signed to Scotti Brothers subsidiary Rock n' Roll Records a planned debut album was recorded but shelved. Subsequently drummer Eric Mensinger (a.k.a. Eric Singer) went on to find fame by progressing through the ranks of the LITA FORD band in May of 1984, BLACK SABBATH, THE CULT, BADLANDS, the GARY MOORE band and KISS. BEAU COUP signed to Avion Records but once again no product was forthcoming. Switching to A&M Records offshoot Amherst, courtesy of record promoter Michael Mannochio, the band released the long overdue debut 'Born And Raised On Rock And Roll', produced by Duane Baron and John Purdell and featured re-workings of two songs from the original six track album. BEAU COUP proved fluid, alternating between a quintet and eight members, with personnel icluding guitarists Steve Schuffert and Billy Sullivan and drummer Don Kreuger. The single 'Sweet Rachel' reached the mid 50's on the Billboard charts. 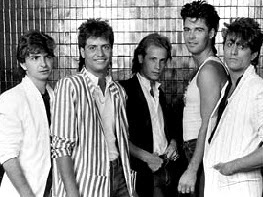 It was during this period that BEAU COUP famously saw a fledgling BON JOVI act as support band to one of their Cleveland Agora Ballroom concerts. Tommy Amato bowed out to journey on to Los Angeles, where he racked up credits with SOUVENIER, STARFLEET and also played with SAVOY BROWN's Kim Simmonds. The BEAU COUP line-up evolved to feature BREATHLESS and THE INNOCENT man Rodney Psyka and drummer Jimmy Clark. 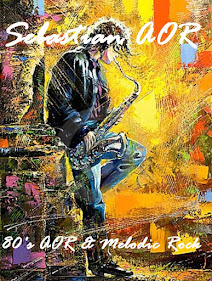 The latter later teamed up with ex-STARZ, TYCOON and FRANKE & THE KNOCKOUTS guitarist Bobby Messano in MESSANO. A second album, released three years down the line, featured a revised line-up. Gone were Psyka, guitarist Mike McGill and Clark, whilst Bill March replaced John Dean on bass. In 1991 Dennis Lewin was credited with producing a song on Cleveland guitar Virtuoso Neil Zaza's band ZAZA's album. 'Part With The Big Boys'. - Maybe that's why a lot of people will be drinking in the Beau Coup 30th anniversary show at the Hard Rock Rocksino on Friday, Feb. 13. The band -- co-lead vocalists Frank and Tommy Amato, guitarist Mike McGill; bassist Bill March, keyboardist Dennis Lewin and drummer Don Krueger -- will be helping a lot of people recapture their lost youth that night, Frank Amato agreed. And beyond that, they'll be after an era. "I would have to say that it was [the Golden Age of Rock 'n' Roll] in Cleveland,'' Amato said in a call to his office in Mayfield Heights, where he runs a mobile entertainment company. He also owns a recording studio. "We had the [Agora] Coffee Break Concerts, and Cleveland was breaking bands like crazy,'' according to Amato, who said that local guitarists Paul Sidoti, currently Taylor Swift's lead guitarist, and Wally Bryson also are scheduled to join the band for tunes. "Cleveland was a town the record labels used to use as a test market. The story of Beau Coup really is the story of Cleveland rock 'n' roll history. Henry LoConti Jr. was a close friend, so Henry LoConti Sr., the founder of the Agora nightclub chain who died last year, is one of the key figures. The Amato boys lived but a block away from the LoContis, Frank said. At the time, WGCL was a rival of WMMS, which dubbed 98.5 "the baboon station,'' Amato said. And because of that, WMMS jocks Jeff and Flash - the team of Jeff Kinzbach and Flash Ferenc - tagged Beau Coup "the baboon band,'' he said. One person who was always on the band's side was The Plain Dealer's legendary rock critic, the late Jane Scott. So it was that when the paper began to make noises that Scott, who died at the age of 92 in 2011, was "too old'' for the rock beat back in 1987, Beau Coup and the local rock community took offense. "When we played the Front Row Theater in 1987, we brought her up onstage and we were singing the song to her onstage,'' Amato said. That's one of many happy memories for Amato, who noted that the band never really broke up -- "Life got in the way like it always does,'' he said. Rather the members just went their separate ways, albeit with the odd reunion show, like the one at the Rock and Roll Hall of Fame in 2011 at a tribute for Scott. Probably one of the best for Amato was playing Public Hall in 1987. It was the first place he ever saw a show -- one that featured the J. Geils Band and the Johnny Winter Band. Black Sabbath and Mountain were supposed to be part of the bill, he said, but didn't make it to town, so Winter, whose band featured guitarist Rick Derringer, played those extra sets. When Beau Coup played their own show at Public Hall, it came to him during the sound check that he was on the same stage where he had seen his first show, Amato said. By the way, the gig is being bill as the 30th anniversary show, which is a little odd, considering their Wikipedia page -- which the band calls its official bio page -- notes that it formed in 1983.